Xtreme Dogs of the National Western Stockshow in Denver Colorado teams up with Extreme Dogs of FUSION Talent Group to produce one heck of an areana. Assembling the "dream team" of world champion trainers , movie and circus trainers audiences left wanting more after this 75 action packed journey. 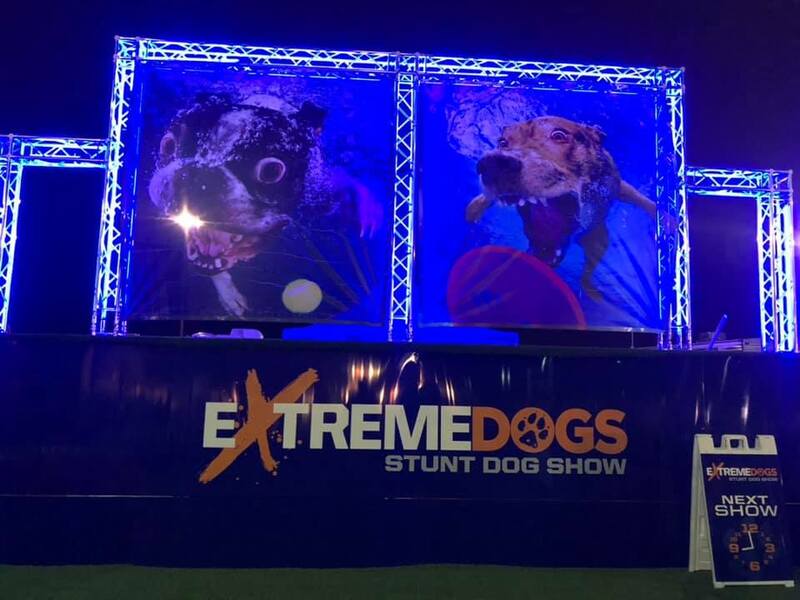 For more information on Extreme Dogs at your event, contact Andrew Pogson aka Freddy Fusion for halftime shows, arena shows, special events, pet expos, corporate events, NFL halftime, NBA halftime shows.